There are many different uses for a dumpster rental. 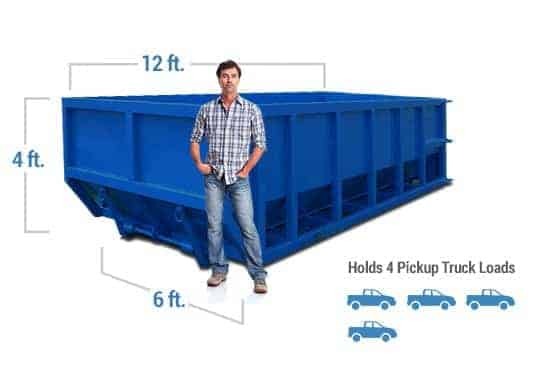 The most common size is a 30 cubic yard container. If you have the space for this you will be pleased due to its ability to remove large amounts of junk in one easy to use space. In order to make your decluttering, clean-up, or renovation as simple as possible, utilize our services. With a knowledgeable team to help point you in the right direction we will be sure you are ready to complete your project. We pride ourselves on serving the community of Dallas Fort Worth. We stay local and work our best to keep our community safe and recycle friendly. Fort worth being the 16th largest city in the U.S. there is a lot of renovations and junk being produced. We create a fast simple way to dispose of all your junk and keep Fort Worth looking beautiful and clean. First time ordering? Give us a quick call and we will be happy to help. There are so many great things to do in the city of Fort Worth, therefore do not waste your time with trips to the dump. Go on the Fort Worth Ghost Bus Tour, or check out Cowboys and Culture. With a roll off you will dispose of all your debris in one place creating a cleaner and safer working environment. Speaking of environment, we specialize in recycling of waste and do our best to limit the harm to our environment. Rest easy knowing you are using a company that is helping make a better tomorrow for us and those to come! Whether you plan to clear out the attic of your home or want to build the next big addition, look no further. 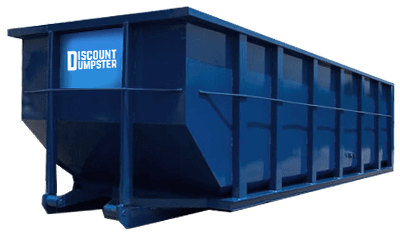 We provide dumpster rental services all over town and want to work with you. Our containers can handle a wide variety of materials, from clothing and housewares to drywall and lumber. Not sure what size will work for you? 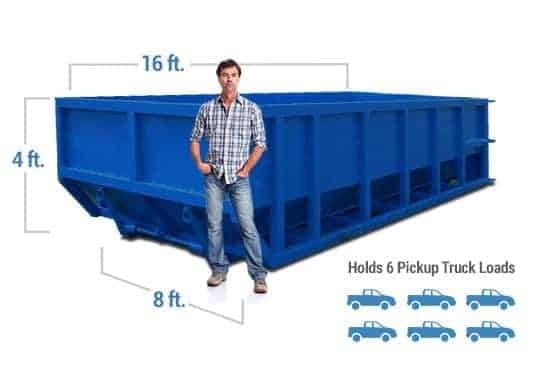 Our team will find the right roll off container to fit your next project in Fort Worth. Call today for an instant quote and we will be sure to beat the other guys! Do I Need a Dumpster Permit in Fort Worth? When looking to rent a dumpster it is possible that a temporary use street permit is necessary. If you plan to place the container on your personal property you do not need to worry about it. When placing the box on a street or public right of way a temporary use street permit will be needed for proper delivery. The City of Fort Worth has a gambit of dumpster permits available on the local government website. Still not sure if you need a permit? Do not hesitate and give us a call. We know this business well and will walk you through the process! What Items are Not Allowed to be Thrown Away?